So basically I bought my Samsung Gear VR just a few weeks ago and was curious about the livestream feature. But it required you to link your Facebook account. Fair enough. At first try when I get to the link your accounts I click on it and nothing happens. I have tried this over and over again. 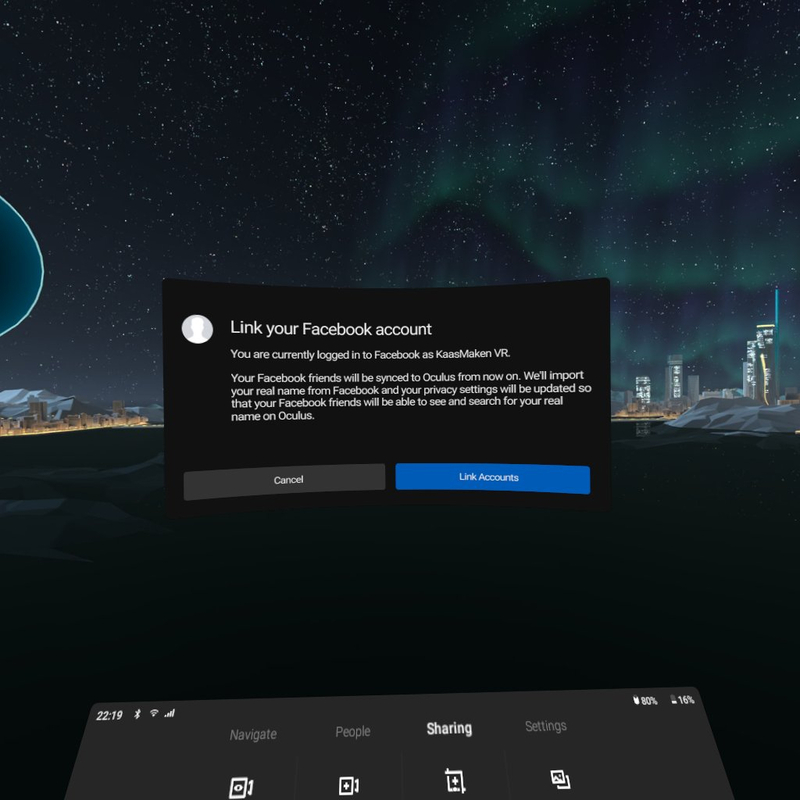 I rebooted my phone, logged out of the Oculus app, unlinked my Facebook account in the Oculus app and I have the latest version of Facebook app. I have also unlinked any other Facebook accounts on my phone and Facebook app Here is a screenshot of what screen I'm stuck at!